That is it, that is all I have to say, Not! Lol, actually I spent like a week or so thinking of Patch Cipriano after I was done with the saga; I was/am so smitten, captivated and all of that, I don’t know what it is about Patch I just know that I find him breath-taking and one of the best male characters. I haven’t felt like that since Kirtash from Memorias de Idhún (The Idhún’s Memories), awesome book by the way, back to Patch he is so Him, really big words there, I know, maybe is the way Nora (The main character) describes him or how well Becca gave life to Patch, there is something to be said about that angel, after you are done with the books you wish that Patch was yours and yours alone. In general the books are good, convince? I didn’t think so, if you can ignore the fact that Nora Grey (not related to Christian Grey) sometimes is a bit exasperating then you should be good to go, I know I talk a lot about how the female characters are annoying but is true they are, not all of them such as: Daenerys Targaryen, Ginny Weasley, Claire Abshire, Abby Abernathy, Tris Prior, etc. The rest? I won’t even go there. When I finished Hush Hush, I immediately went for Crescendo, Silence and Finale. One after the other, when the books are good I can’t stop, unless something else stops me, for example with Divergent I had to stop because Allegiant wasn’t out, so I filled my days with The Mortal Instruments and The Maze Runner. When HH was over in my life I felt incomplete and complete, incomplete because Patch would be only in my memories and complete because it was an enjoyable read. I recommend it if you like romances, drama and a good storyline. Ok, so I basically blended all into one neat package, this is what happens when you read the books in one go without stopping. So, in order for me to convey how it all was I will let you know a bit more about all the books, I cannot help it, I would have to re-read each of the books and write my thoughts just after finishing without delay and without touching the next one. This exact thing happened to me when I read the Lux Series. Now, the books, the Hush Hush saga is perhaps one of those series that makes you want to hurl the book across the room one moment, scream at Nora in the next, laugh at Patch’s comments or simply get sucked in into the book in such a way that you miss the phone ringing, someone calling your name, and even be awake after midnight. Patch was really something else, I read these books at the same time as a friend of mine and we spent a lot of time fighting over who gets Patch in a hypothetical world where he actually exists. In the end we started calling each other ‘Angel‘ and left it at that. Anyone who read it will know that being in that world where he exists would be definitely something to look forward and you would love to be a Nora to him. Nora is one of those girls, that you really do not fell all that connected to, I am sorry for Becca but it is the truth, she just gets in trouble because she does not listen. Alright, alright, maybe I am being a little too harsh on the girl but I have seen many memes stating how she just spent most of the time being saved by Patch. I know that many female characters are just “independent” and that is great, but then there is simply being stubborn and that will not do. Maybe if I read it again, and I will at some point, I will not be so annoyed by her, as it happened with Clary from The Mortal Instruments, at first I could not stand her and by the time I finished the second round and City of Heavenly Fire was over again, she was fine. It is better if I show a bit about him, here are some precious moments from the books. Hmm, yes, they are all from book one but you would not want to know the rest. Spoilers are something that I do not like (unless I have no choice whatsoever), and quoting the rest of the books like this would be considered just that. This is it, if you were looking to be convinced about reading the books then I hope that I did and if you are still unconvinced, then I must say that perhaps romance, fantasy, and drama together are not the genres for you. Dystopian might be a good option. 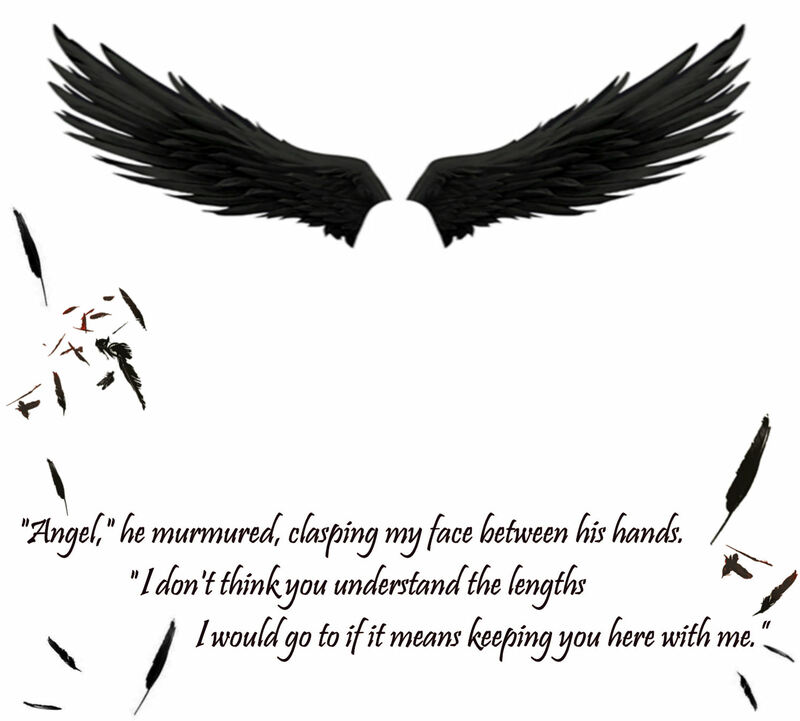 Did I mention that I love Patch Cipriano? As long as that is clear. Hope you read the books and if you have let me know.